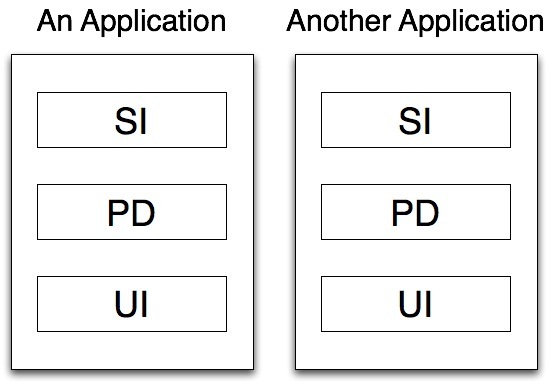 An application is architected into 3 major layers. UI - User Interface. PD - Problem Domain (OO-speak for the business logic layer). SI - System Interface - the layer that deals with talking to any external systems.